Do you have any news items for this page? ClubSport Stirling wants to showcase our clubs as much as possible. Please send through to us any successful news stories that we can post, or we can also promote any programmes at your club. Get in touch with your Club Development Officer who will be happy to help. On Sunday 13th May Callander Bowling Club held their first ever 'Try Bowls' event to increase club membership and promote their club to the local community. The event was a great success and with the weather being so sunny it was a great experience for everyone taking part. The club, with the help from Bowls Scotland and Active Stirling, put on various bowling challenges as well as providing actual game play, which was enjoyed by all. They had many current members returning to the club as well as several new members expressing interest in joining the club which was fantastic to see. Callander Bowling Club are working hard to engage the local community and get more people playing this Commonwealth Sport. Their 'Try Bowls' Event was an advertisement for their Monday evening sessions that are open for everyone, especially junior members. As well as the 'Try Bowls' event they are also supporting Callander Primary School's health week at the start of June. The club are making a conscious effort to engage with more young people and with this in mind were successful in their funding application of £300.00 to ClubSport Stirling to purchase junior bowls. Fraser Renwick (ClubSport Stirling Chair) attended the Try Bowls Event to present the cheque and emphasise ClubSport Stirling's support for such a great club. If you are interested in getting involved with Bowls in Callander please check out the club Facebook Page and drop them a message. They would love to have you! 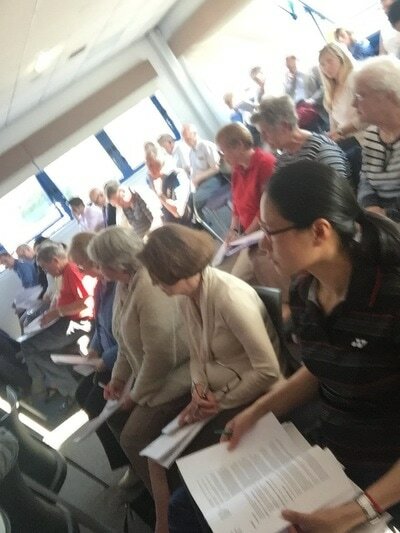 The 2018 ClubSport Stirling AGM was held on Wednesday 2nd May at Forthbank Stadium. 49 people were in attendance to work through the usual AGM matters as well as hear from Fern Milne from Stirling Council's Youth Team about Stirling's Youth Forum. At the close of the AGM we were inspired by 3 young people and their experiences and views on sport. A huge thank you to Charis McLean, John Casey and Ben Mitchell for a great insight to sport from a young persons perspective. 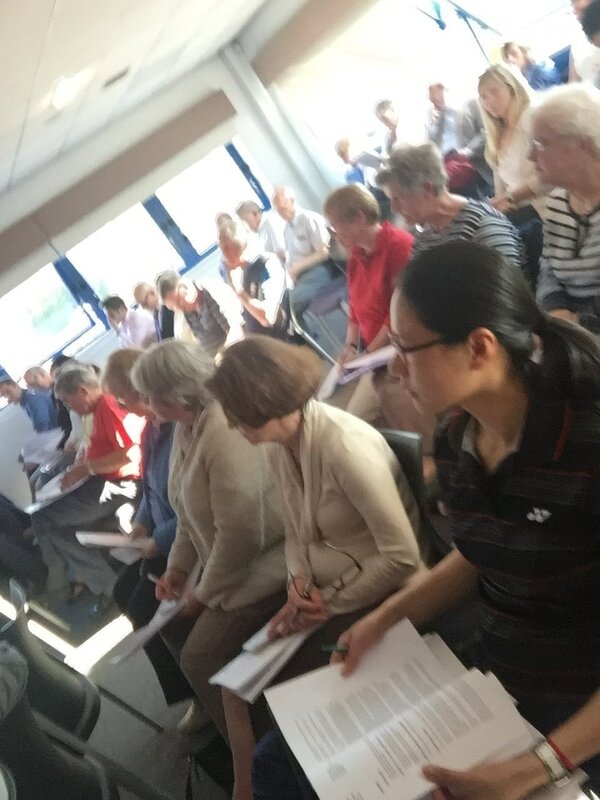 The minute of the AGM can be found here. A copy of the 2017/18 Accounts can be found here and a copy of the 2018 Financial Report can be found here. The affiliation fee for 2018/19 was set at £35 and clubs should pay this by 31st May 2018 as well as complete their affiliation form which can be found here. The 2017 Annual General Meeting of ClubSport Stirling will take pace on Wednesday 26th April, 7pm at Forthbank Stadium, Stirling. 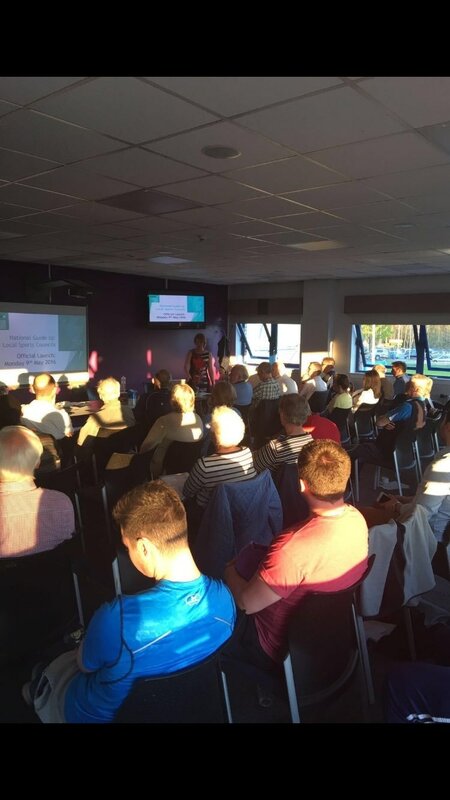 As well as the usual AGM Business which can be found here we will have members of the team from our partners at Active Stirling giving presentations about two opportunities for our clubs to consider engaging. These presentations will be about the Sport for Change Agenda and Exercise Referral and opportunities for clubs to take forward some new opportunities in their community. We will also cover a review of the year in club sport in Stirling. You can find a link to last year's report HERE. Dunblane Fencing Club Submit a Fantastic Funding Application! Congratulations to Dunblane Fencing Club who were awarded £1000.00 for new equipment and to help develop taster sessions for greater community outreach. The club are using this money to improve their outreach with local schools by visiting more often and organising more competitions to support children as they move towards competitive fencing. By allowing the club to grow at the base, they will be able to increase the number of fencers who compete internationally later on in their careers. Furthermore, they will also be working to become even more inclusive and cater for disability sport hence improving sporting provision in Dunblane. Tom Gebbie, Club Development Officer at Active Stirling presented the cheque to the club at Dunblane High School where the club trains, and is looking forward to seeing the great work from the club in the future. For more information on the club check out their Facebook page.